LOOK: These are the Dangers that Every Filipino Seaman Has to Face Everyday to Provide For Their Families! A life away from your loved ones is not easy. It can be lonely, and you should be able to live independently as the distance from your home is not a joke. For a seaman, ordinary people may think it is easy for them as they are earning more than enough compensation, but the struggle of the job itself and the loneliness of being far from your family and friends are hard. Usually, seamen carry loads of different products and deliver it to different countries. They will need to make sure that each product or cargo is delivered on time. The ocean is so wide and it is not like the roads have clear markings. Seamen needed to study and master navigation in order to reach the right destination of the ship. They will need to be experts on map reading, not just by land, but also by water. Every day, they need to fight against the waves. Note that these waves are not just waves we encounter on the beach, but giant and monster waves that are much taller and bigger. However, what really worries them is the family they left home. 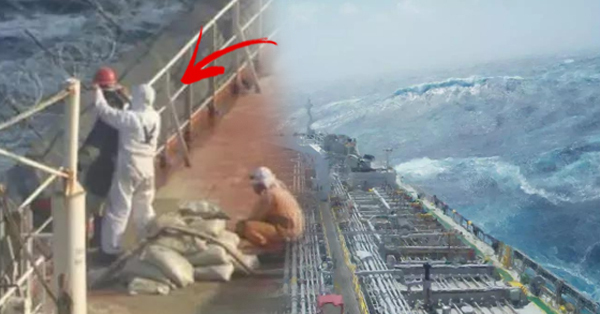 To all the seamen, kudos for being brave enough to face challenges on the ocean alone! Are you a seaman or related to any? Share your journey and experiences!